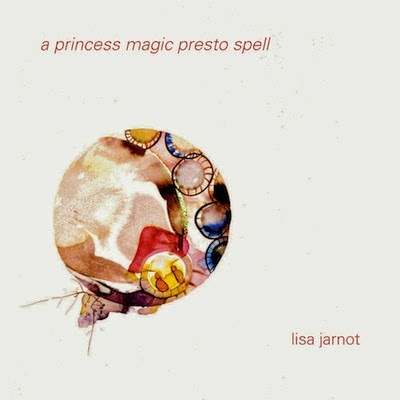 From New York poet Lisa Jarnot comes the exquisitely-designed hardcover book/chapbook a princess magic presto spell (2014), sprinkled throughout with stunning artwork by Emilie Clark. Constructed as a sequence of three poem-parts—“Amedellin Cooperative Nosegay,” “A Boa Constrictor” and “Every Body’s Bacon”—Jarnot’s small collection is a sequence of expansive collage-works, thick with names, references, mysteries, sound and images that collect, collide and mash into an intricate and complicated rush of densely-packed lyric. As she writes: “this state sponsored car alarm, my lost mason jar, vivian rose champion’s delicate victorian ankles, the / lonely bird, autumnal burnings, duncan’s, cold and clear, // while slyly coffee hangs / outside below a / wall of snow[. ]” Composed in three sections, one suspects this might be but the opening sections of a far larger work, or could simply be what it seems: a three-part self-contained piece that includes almost everything. Purchase a princess magic presto spell HERE.